new album, hard bent, out NOW! 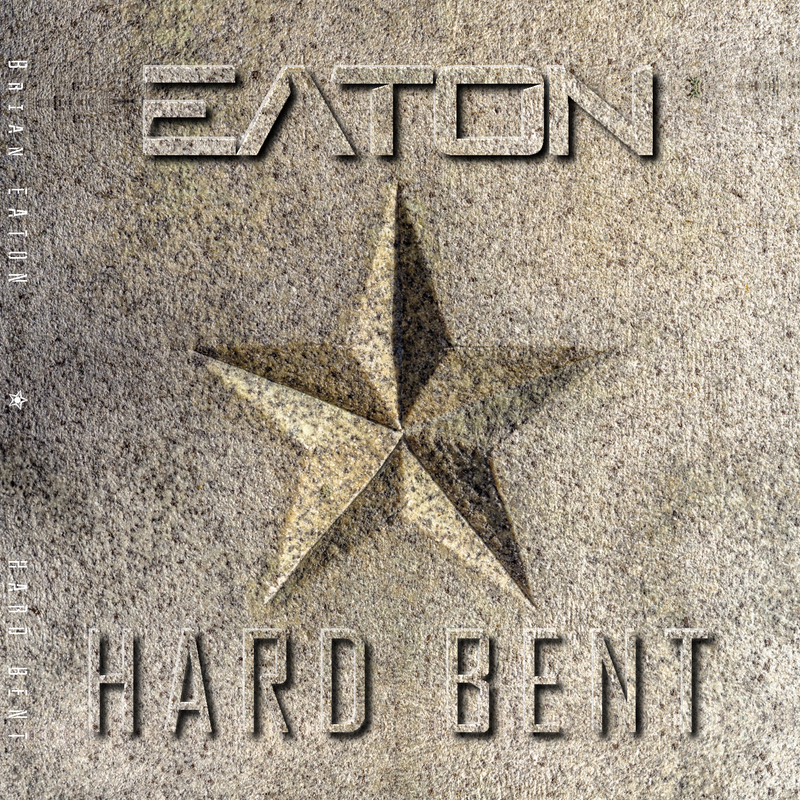 PORTLAND, OR (16 November 2018) — Multi-talented musician, engineer/producer Brian Eaton has released his new album, HARD BENT, today via his indie label, Eatin’ Records. The 10-track sophomore release is a follow-up to his 2011 debut LP, Graphic Nature, and took a year to produce. The album features the singles, "Defenseless," and "Bright Ambitious Lie," which will have its Official Video released on December 1. Hard Bent, a concept album about the Vietnam War, is reminiscent of Eaton’s origins with his hard-hitting alternative/industrial metal band, North. It tells the story of the human toll of America’s ugliest war through the eyes of a jaded combat medic: a toll measured in lives ruined and destroyed (physically and psychologically). The album follows the vet still grieving decades after living with the trauma of war: through the sheer anger, fear, indifference, depression, insanity, guilt and, perhaps, possible redemption from the madness of it all. He relives the battles fought, the friends lost, families torn apart, and a country manipulated by self-serving politicians. "But dying is easy," he reports in the opener (‘Breaking Squelch’), "living with the trauma, that made me hard bent . . . "
“Hard Bent pays homage to all our veterans,” Eaton explains. “It is especially dedicated to those of foreign wars who fought and paid the ultimate sacrifice. Never forget that freedom is not free!” Eaton is donating half of all music sales from the new album in the first six months to the top-rated Semper Fi Fund. "Nine Inch Nails meets My Life In The Bush of Ghosts. Way Cool. I'm a fan." "Hard Bent...A harrowing collection of ten songs...the music has an alluring attraction in which the listener becomes fully engrossed..."
"BRIAN EATON's new solo project, Graphic Nature, is a force to be reckoned with in the rock/pop genre..."
"Brian Eaton is a versatile one man show. The production, vocals and guitar soloing are spectacular." "Eaton is a multi-talented, multi-instrumentalist with multi-tasking abilities." "Graphic Nature displays the tenacity of the Foo Fighters, the diverse proginess of Porcupine Tree, and the sensible pop qualities of The Fray." Dialing it up for other artists in his studio (Eatin’ Records) for nearly 20 years, the musician, engineer and producer returns with his bombastic, politically-charged sophomore release, Hard Bent. 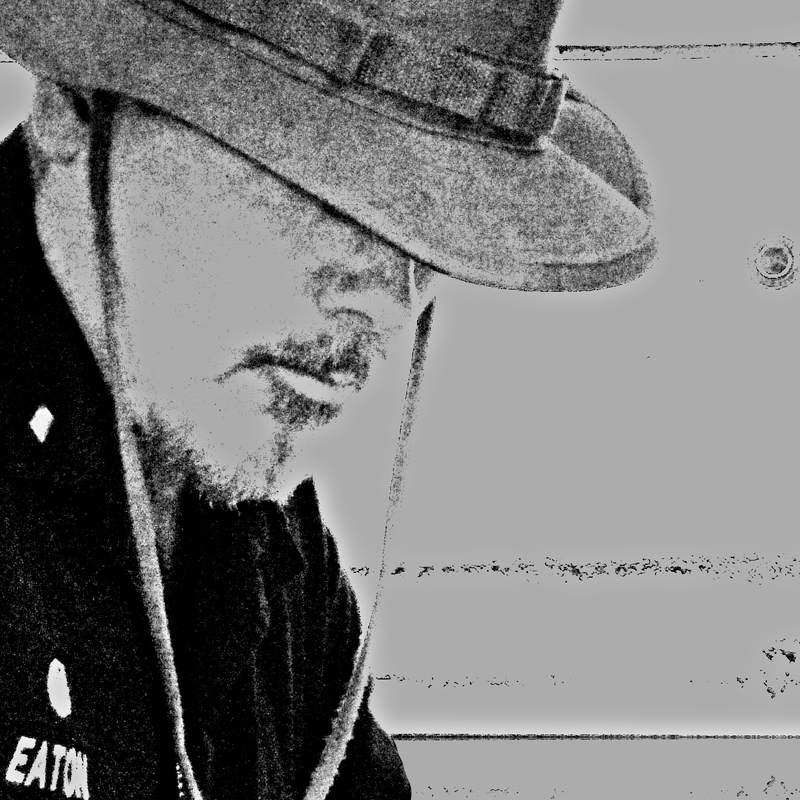 Eaton’s concept album of the Vietnam War is reminiscent of his origins with his hard-hitting alternative/industrial metal band, North. Hard Bent, which took a year to produce, blends industrial, metal, alternative, electronic, acoustic rock and even soundtrack elements into its war-torn soundscape. Echos of Alice In Chains, Nine Inch Nails, Tool, A Perfect Circle, along with Radiohead, Pink Floyd and Porcupine Tree can be heard within the record. And the audio production with its heavy, punchy, dynamic mix is remindful of Rage Against The Machine’s groundbreaking self-titled debut album. Hard Bent tells the story of the human toll of America’s ugliest war through the eyes of a jaded combat medic: a toll measured in lives ruined and destroyed (physically and psychologically). The album follows the vet still grieving decades after living with the trauma of war: through the sheer anger, fear, indifference, depression, insanity, guilt and, perhaps, possible redemption from the madness of it all. He relives the battles fought, the friends lost, families torn apart, and a country manipulated by self-serving politicians. "But dying is easy," he reports in the opener (‘Breaking Squelch’), "living with the trauma, that made me hard bent . . . "
At eleven, Eaton was transplanted to Chicago while his brother stayed in L.A. and formed the band Exodus with his friend Gilby Clarke (Guns ‘N Roses guitarist). A year later, Bill moved to Chicago and recruited Brian to play drums for his band. In high school, Eaton started dabbling in keyboards and guitar while drumming for a progressive rock cover band that focused on Rush. The band had the fortunate pleasure of recruiting their classmate and upcoming sound engineer/producer, the late Jeff "Critter" Newell (Ministry, NIN, Guns 'N Roses, Blink 182, Angels & Airwaves...), to occasionally amplify their sound. In college, Eaton majored in music theory and composition while studying jazz piano. 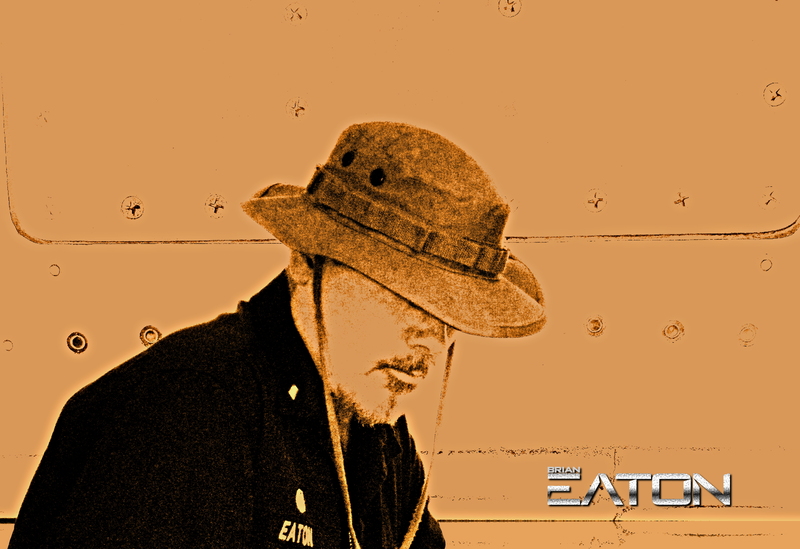 After college, Eaton built his own recording studio and independent label, Eatin’ Records. In 1992, he released his debut solo jazz EP, The Switch, and in ‘94 he released Genocidal World, the debut album by his band North. 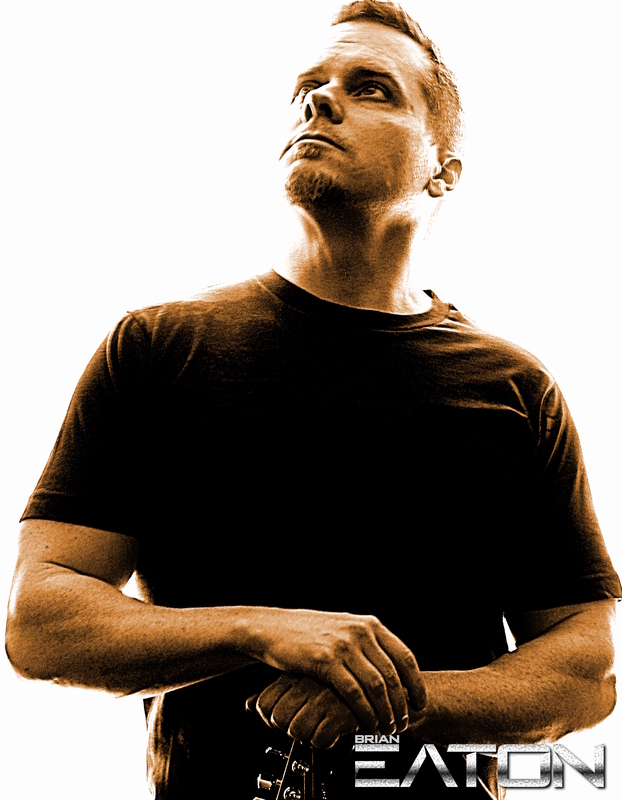 Throughout the 90s and early 2000s, Eaton played in several original bands and recorded scores of local artists in his studio including Dave Uhrich, Frank Catalano, Usurper, and Jeff Swan (Dark Star Records founder) to name a few. He earned the reputation as a premier sound engineer and producer who turns demos into commercial recordings. He’s also released 11 bands on his Eatin’ label including T.D. Clark, who toured with Bad Company and Ted Nugent while promoting his debut Eatin’ release, Personalities. Other credits include recording/producing the soundtrack for the Robin Hood Stunt Show (Time Warner Entertainment) at Six Flags theme park St. Louis, and recording/producing five tracks from the original motion picture soundtrack for Carnivore. In 2008, Eaton remastered and released the previously unreleased North demos as a new single, Murder Of The Minds, which continues to receive industry praise (over 43K Pandora Radio Spins). Then in 2011, he released his debut full-length rock album, Graphic Nature. A debut distilled from the years of experience as a musician, engineer, producer and label owner. In between releases, Eaton was featured playing drums on 10 tracks on Sanfilip's 2013 release, Out Of The Dark, and on The Beatles cover, 'I'll Be Back,' from his 2016 release, In Every Dream. 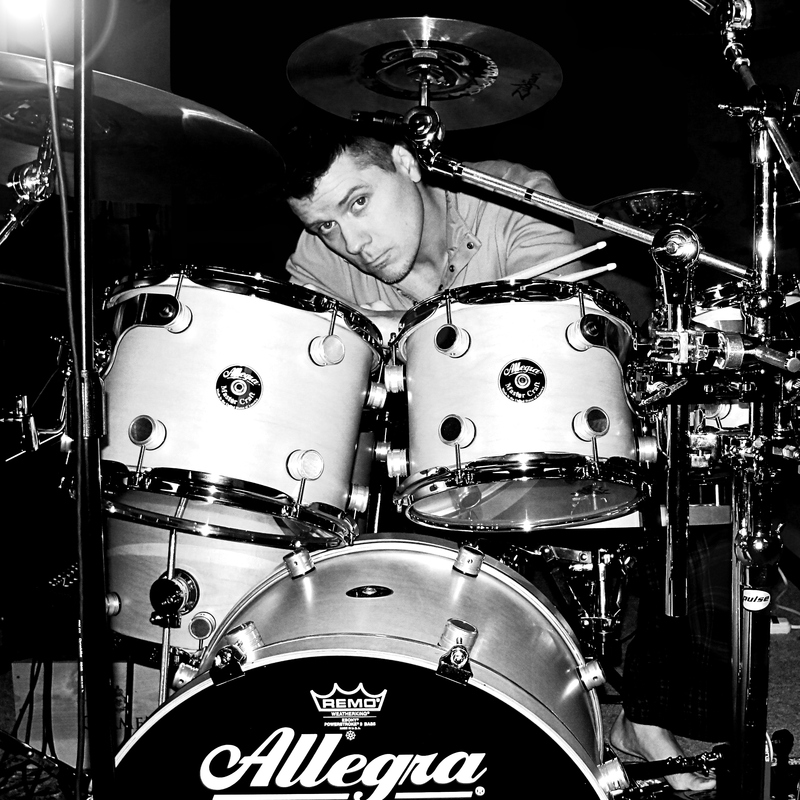 Eaton also recently broke the top 10 ReverbNation Portland Charts, and was endorsed by Allegra Custom Drums. Hard Bent will be released on November 16, 2018 and available worldwide. 10/25/2018 Digital Revolution Radio Online Airplay of "Bullet Sponge" & "Bright Ambitio..."
10/25/2018 Radio Free Brooklyn Online Airplay/Premiere of "Breaking Squelch"
10/04/2018 Radio Free Brooklyn Online Airplay/Premiere of "Bright Ambitious Lie"
05/06/2017 Local Loft Online On-Air Interview & airplay of "Tinnitus"
This page intended for Industry Promotional Use ONLY.